I am interested in the question of pegasus sculptures on the roof of the theater. 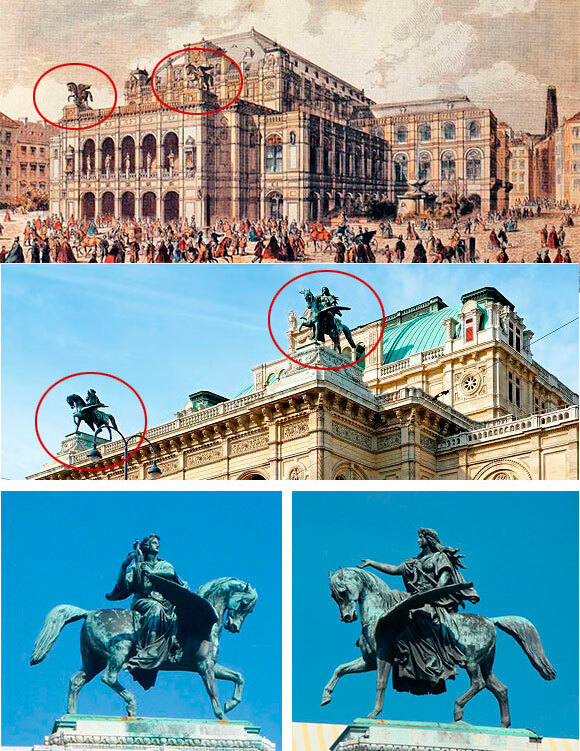 The statues of the two riders on horseback were placed on the main facade of the loggia of the Vienna State Opera in 1876. They were created by Ernst Julius Hähnel, and represent Harmony and Erato (Muse of Poetry). It seems to me that the sculptures from the old picture are different from the sculptures from modern photography. The figure of the Muse is visible near to the pegasus in the old picture, and in modern photographs the Muse are riding on horses. The theater was damaged during the war. Perhaps other sculptures were installed on the roof during its reconstruction after the war. Does anyone know the details of this story? The two Pegasus figures of Vinzenz Pilz, originally made for this site, proved too monumental, were removed from their pedestals in April 1870 after heavy public criticism and sold to Philadelphia, United States of America). The two equestrian representations above the main façade of the loggia were erected in 1876. They were created by Ernst Julius Hähnel and represent two winged horses, which are led by the harmony and the muse of poetry (Erato). 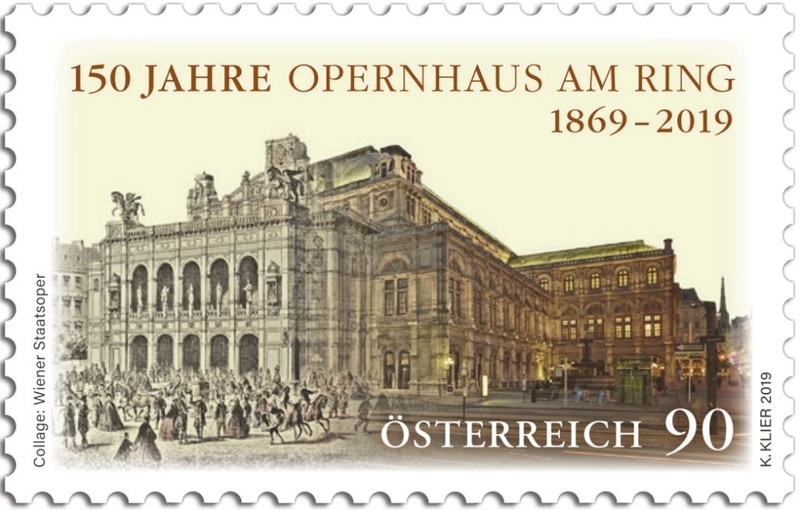 Gerhard, thanks to your help, the article on my site "Horse on stamps" has been updated with interesting information now.